Ebony first featured articles about notable African Americans such as celebrities and sports figures, and during the late 1950s ran Dr. Martin Luther King, Jr.’s column, “Advice for Living By.” By the 1960s articles supporting civil rights appeared as the magazine provided reliable coverage of the civil rights movement as it unfolded across the United States. Ebony also discussed the increasing opportunities for African Americans, suggested ways to overcome obstacles and encouraged blacks to exhibit racial pride. Words emphasized continually in the magazine–respect, dignity, pride, recognition, understanding, hope, inspiration–illustrated Johnson’s personal and professional philosophy. Ebony provided a much needed national forum for blacks. Its contents centered on black history, entertainment, business, health, personalities, occupations, and sports. 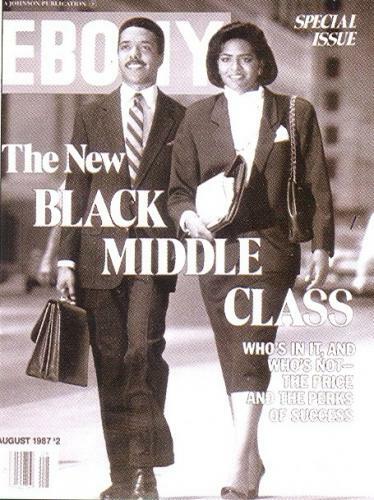 By highlighting the accomplishments of black Americans, the magazine offered its readers new measurements of black success. It has earned a strong national reputation for its celebration of black identity and culture. Ebony continues to inspire an appreciation of the black heritage and commemorates and encourages African American contributions to American society. Bruce A. Glasrud and Laurie Champion, "Ebony," in Encyclopedia USA, edited by Donald W. Whisenhunt, vol. 25, 139-143 (Gulf Breeze, Florida: Academic International Press, 1998); Walter C. Daniel, “Ebony,” Black Journals of the United States (Westport, Connecticut: Greenwood Press, 1982): 159-164; “The Ebony Story,” Ebony 51 (November 1995): 80-86. Bruce A. Glasrud and Laurie Champion, “Ebony,” in Encyclopedia USA, edited by Donald W. Whisenhunt, vol. 25, 139-143 (Gulf Breeze, Florida: Academic International Press, 1998); Walter C. Daniel, “Ebony,” Black Journals of the United States (Westport, Connecticut: Greenwood Press, 1982): 159-164; “The Ebony Story,” Ebony 51 (November 1995): 80-86.